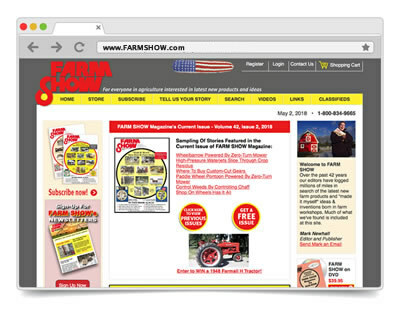 Owned by the publishers of FARM SHOW Magazine and supported by display ads that run on the site. 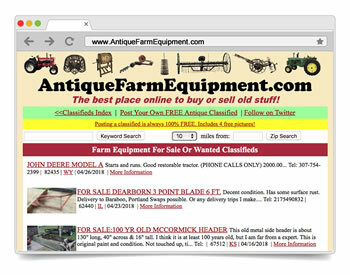 If you have an Ag-related item to sell that is an antique or a collectible display piece, we recommend using our "sister" site, AntiqueFarmEquipment.com. NO CHARGES OR FEES TO SELL OR BUY! 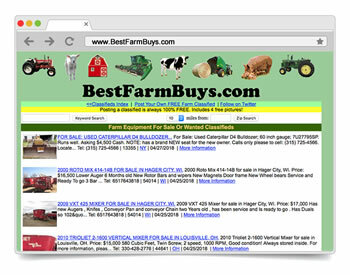 ADS RUN FOR 90 DAYS WITH UP TO 4 IMAGES!